I recently spent 48 hours in Vancouver. A very full 48 hours, which I managed to commit roughly 30 minutes on beer. Friday: land at 11 a.m. With minutes to spare, I stumble upon the liquor store and to my pleasant surprise , there is no shortage of local beer available. A six-pack of Red Racer, whose reputation proceeds itself, and several others are picked at random. I’ve got to say, they all look quite nice. 10 p.m. – I ask the bartender for a local beer, he hands me a Sleemans Original. Not exactly what I had in mind. Saturday: head to Granville Island for dinner at Dockside Restaurant, VERY happy to find it is also home to the Dockside Brewing Company (I know, I go to Granville Island and don’t go to Granville Brewery.) I try the Brown Ale, the IPA and the Weissbier, was too tired to try the various others. The first and third were nice, the IPA fell flat to me. But the location of this place is definitely premium and worth checking out, in conjunction with Granville Island Brewery, which I drove by. 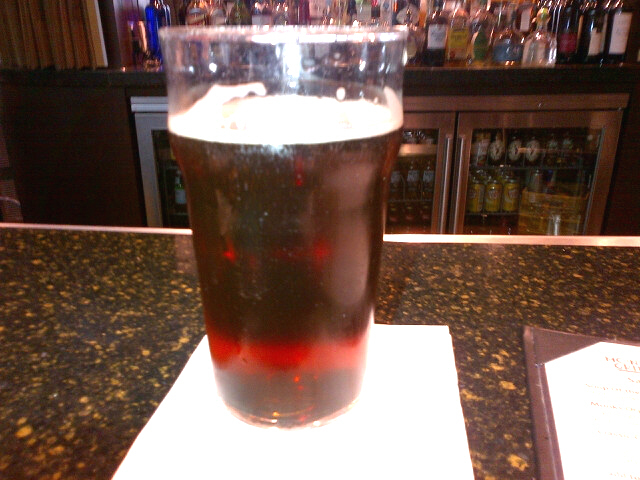 Sunday: airport bar. 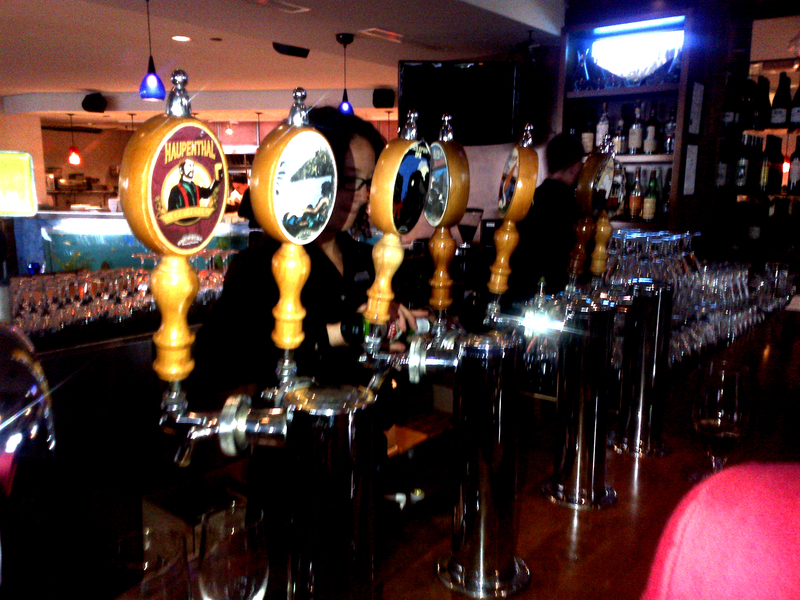 Whistler brewing on tap. I try out the Whiskey Jack Ale and the Powder Mountain Lager. And what did I discover from this cursory beer tour of Vancouver. First, the craft beer scene is strong. I had a total of 30 minutes to walk around and the beer literally found me, it was all over the place. This I liked for sure. Second, while I really don’t want to be that Ontario centrist jerk and my initial finding is that there are definitely some great beers in B.C., I was disappointed to find several flat, unflavourful brews that appear to be crowding the market. As many know, this was an issue that killed the 90’s craft beer scene. Maybe its a sign that overly low standards for liquor store entry isn’t a great thing. What I do know, is I haven’t found this disappointment yet in Ontario. Of my admittedly limited exposure, winners for me were the Red Racer Extra Special Bitter and the Driftwood Brewery Driftwood Ale. 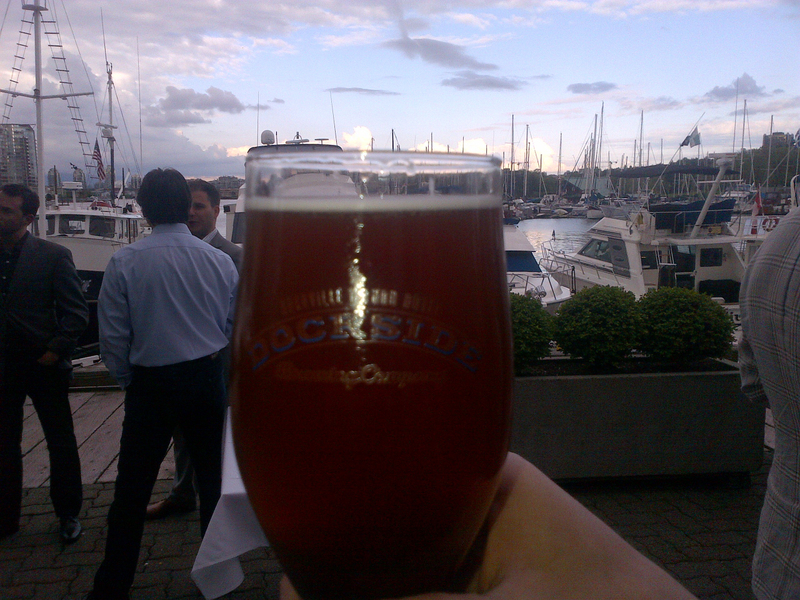 Some disappointments include Dockside Brewing’s IPA and Whistler Brewing Company’s Whiskey Jack Ale. 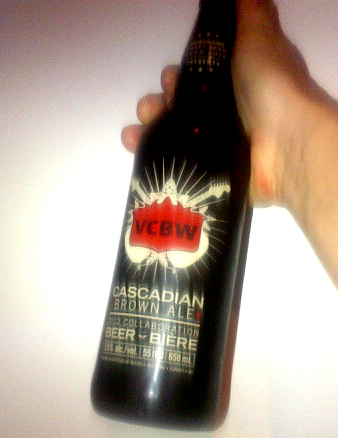 Not that these are bad, but I had high expectations – Especially for Whistler – if you get to claim the iconic name, just as Muskoka Brewery did in Ontario, the beers has got to be tops. Over the following weeks I’ll follow with some specific reviews. And I’m sure Vancouverites would love to rip into me for my findings – my only response can be that I would love to hear recommendations for my next visit.